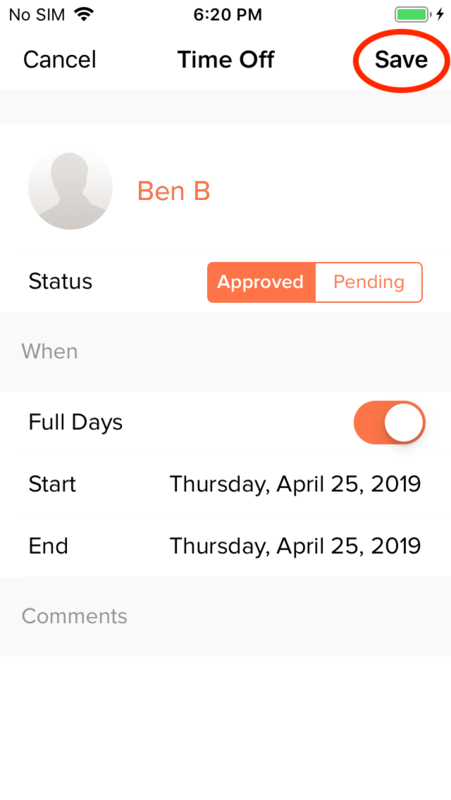 Here's how to approve/decline Time Off requests from the mobile app. 2. 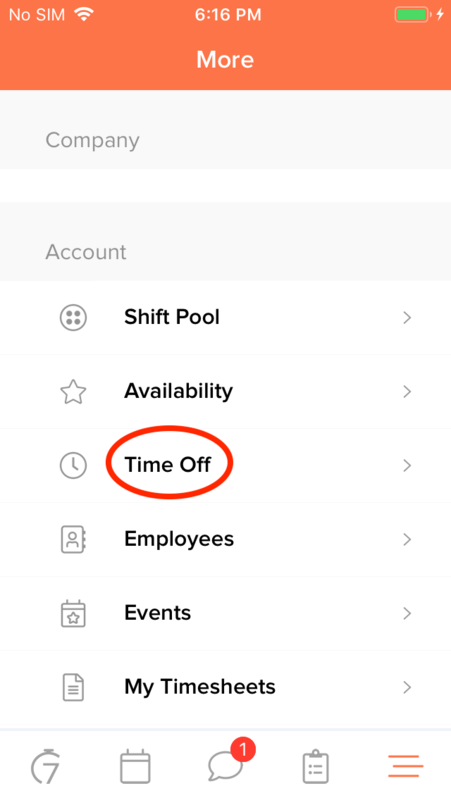 To add Time Off for an employee, click on the '+' icon in the top right corner. 3. 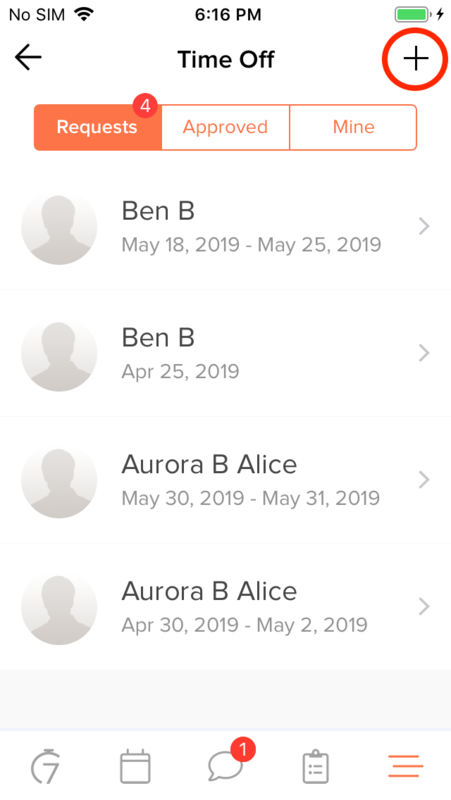 Pick an employee, the date range for the Time Off, and tap on the 'Save' button. 4. 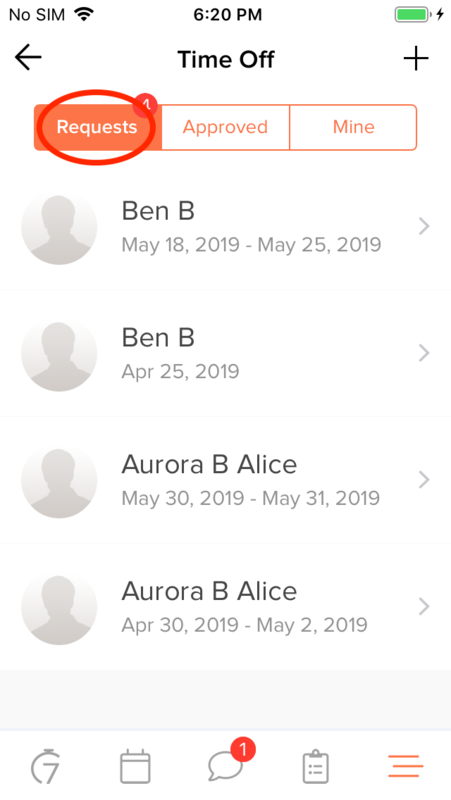 To approve or decline a pending Time Off request from an employee, tap on the 'Requests' tab and select a pending Time Off request. 5. 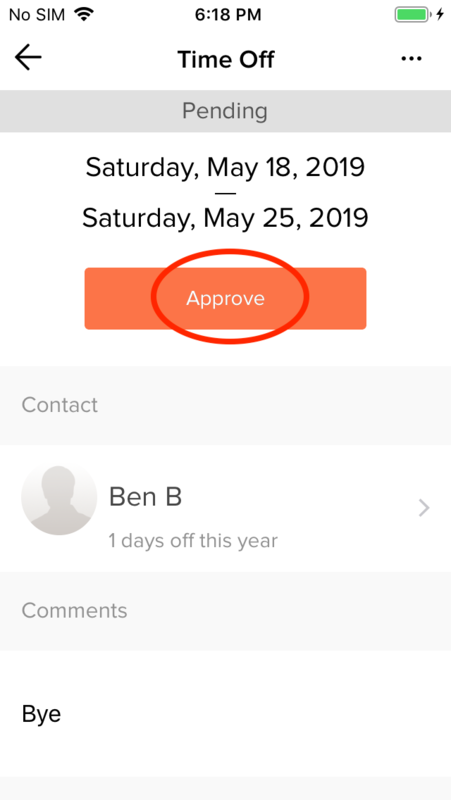 To approve the Time Off request, tap on the 'Approve' button. 6. 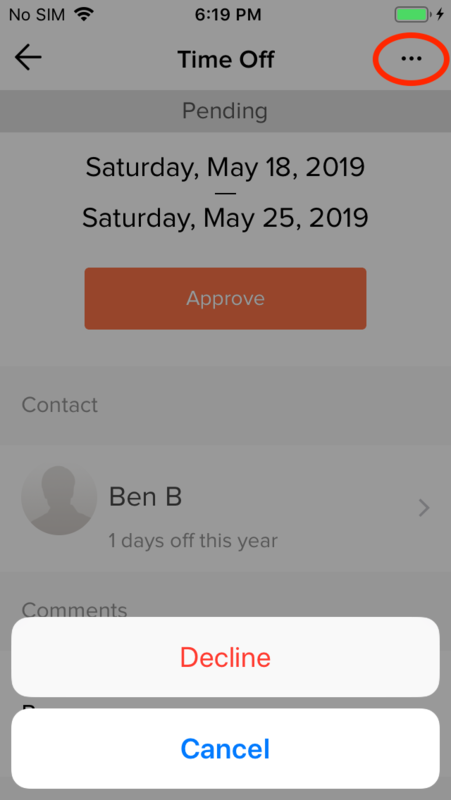 To decline a Time Off request, tap on the three dots icon in the top right corner and select 'Decline'.